JoJo’s Floral & Bridal is conveniently located in Elkins, WV. We personally design a wide range of beautiful fresh and silk floral arrangements, gift baskets, balloon gifts, live plant arrangements, and other unique gifts. We have something for everyone and every occasion. Delivery is available throughout Randolph County, as well as to many event venues in the surrounding areas. 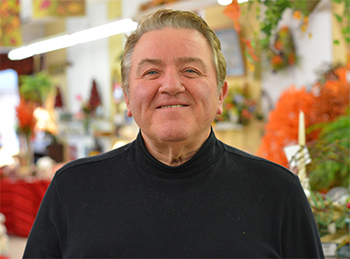 JoJo and the staff members of JoJo’s Floral & Bridal are committed to providing our customers with the freshest and most attractive floral arrangements available, with timely delivery. If you would like to place an order for one of our unique flower creations or gifts, please contact us or stop in. We look forward to working with you!